Every contemporary language, particularly in the First World, has professional jargons with their own norms that may differ from the standard in some aspect of grammar (usually phonology). Thus in contemporary standard Russian, mariners say kompás ‘compass’ with stress on the second syllable, whereas the ordinary norm for this word is stress on the initial syllable. A New York plumber may retain the flat vowel instead of the diphthong in the stressed first syllable of the word radiator. Listening this morning to VPR Classical, Y-H-B heard the host mispronounce the word ballade in announcing one of Chopin’s Ballades. 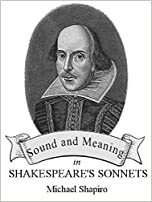 Instead of the accepted norm for musical pieces of this genre with stress on the second syllable, this host (evidently of the younger generation) put the stress on the first syllable, as if the word were spelled ballad. This mistake was a flagrant violation. Perhaps he had never heard the word pronounced properly by someone in the know.